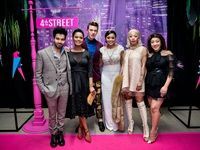 The launch event for reality TV series, Project Runway South Africa took place on the 28 June at Hard Rock Café in Menlyn, Pretoria in association with 4th Street Wines. Comedian Chris Forrest and celebrity chef Pete Goffe-Wood have paired their respective expertise for a new live cooking show titled Don't Burn Your Sausage. The show will be held at the Red Roman Shed at Emperors Palace from 22-24 September 2017. 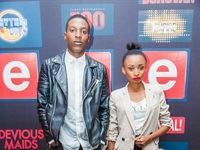 The second batch of South African Film and Television Award winners were announced at the official award ceremony which was hosted by Katlego Maboe and Thando Thabethe at Sun City, Johannesburg. 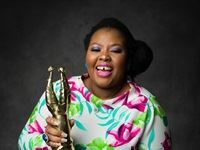 The first batch of South African Film and Television Award winners were announced at Sun City, Johannesburg. 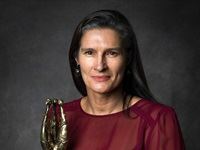 The country's leading film and television professionals attended the 11th annual South African Film and Television Awards at Sun City, Johannesburg. 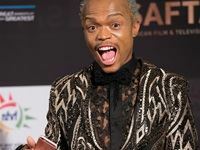 The 11th annual South African Film and Television Awards was held at Sun City, Johannesburg. 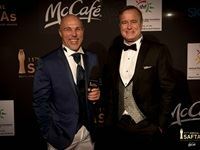 The awards recognise those in the local film and television industry doing exceptional work. E.TV and OpenView HD unveiled its 2017 press prevew at the Urban Tree in Sandton, Johannesburg. 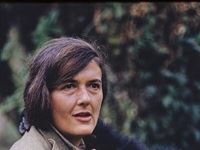 National Geographic has partnered with Academy award-winning executive producer, James Marsh and Tigress Productions on a three-part special based on unseen footage of the gorilla researcher, Dian Fossey. Dian Fossey: Gorillas in the Mist will be narrated by Sigourney Weaver who played Fossey in the 1988 film, Gorillas in the Mist. Nat Geo Wild has announced the release of the six-part drama, Savage Kingdom, airing on 4 December. 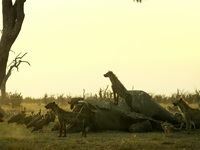 The documentary, which looks at animal clans battling for survival in a dry African region, will be narrated by Charles Dance, from Game of Thrones fame. 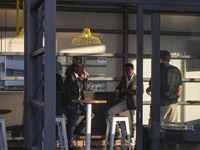 Watch the trailer here..
Community Media Trust (CMT) launched the SABC1 TV series, JAB, and announced the official opening of their media production company, Off the Ground Media. 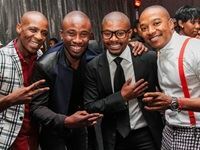 The launch took place at The Space Bar, Cape Town. e.tv and Openview HD's preview of the upcoming shows this Summer. Michelle Obama inspires young people in SA and the USA at the MTV Base Meets Michelle Obama taping.